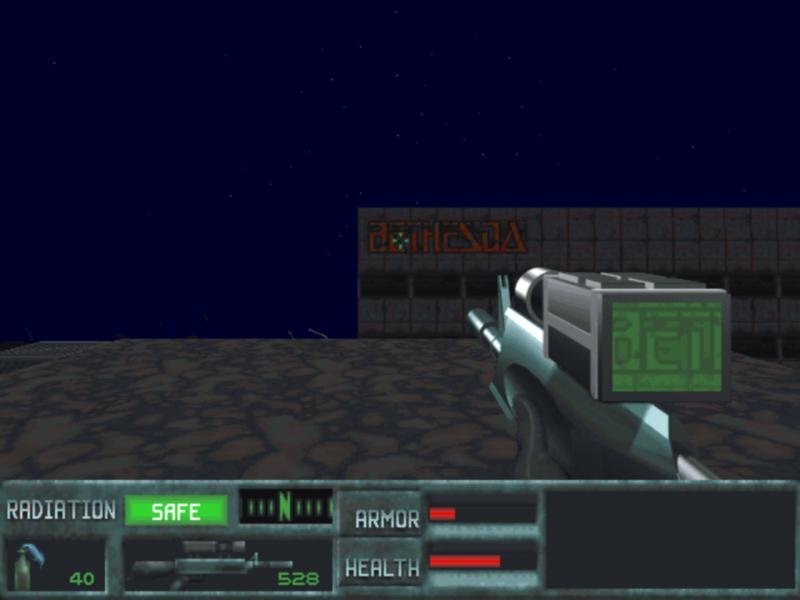 Bethesda Softworks’ follow-up to their flyin’, shootin’, and drivin’ action game, Terminator: Future Shock, may have started life as an expansion pack with some juicy new levels, but somewhere down the road it evolved into something larger. 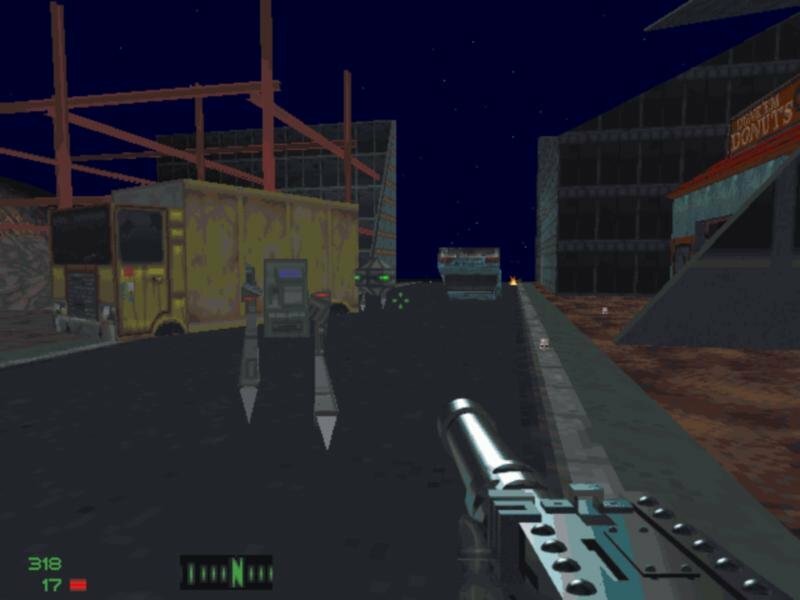 This standalone mini-sequel features a new campaign and storyline, new and sharper Super VGA graphics, and multiplayer features to rival heavyweights like Duke Nuken 3D or Quake. 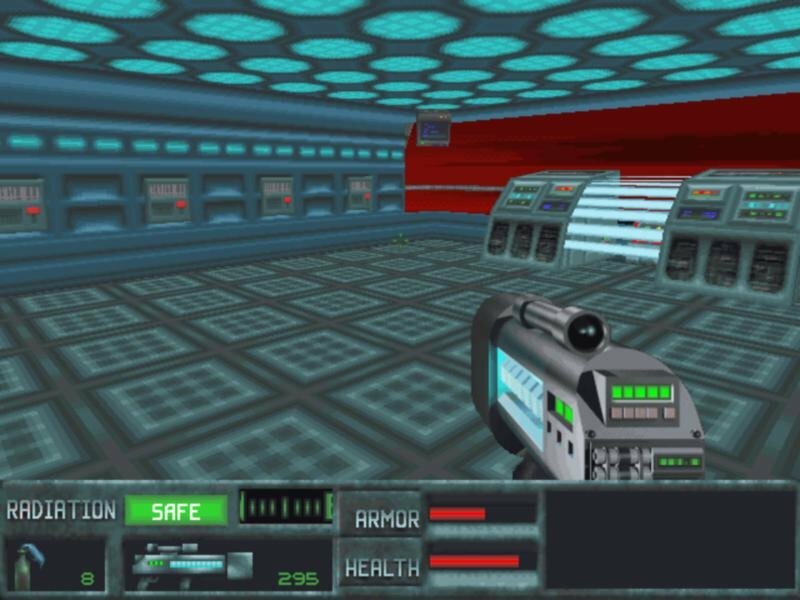 The previous game, Future Shock, actually had some of Quake’s winning qualities That game, released nearly a year before id’s splatterfest, featured a polygonal environment and innovated the use of mouselook, but disappointed in its lack of multiplayer. 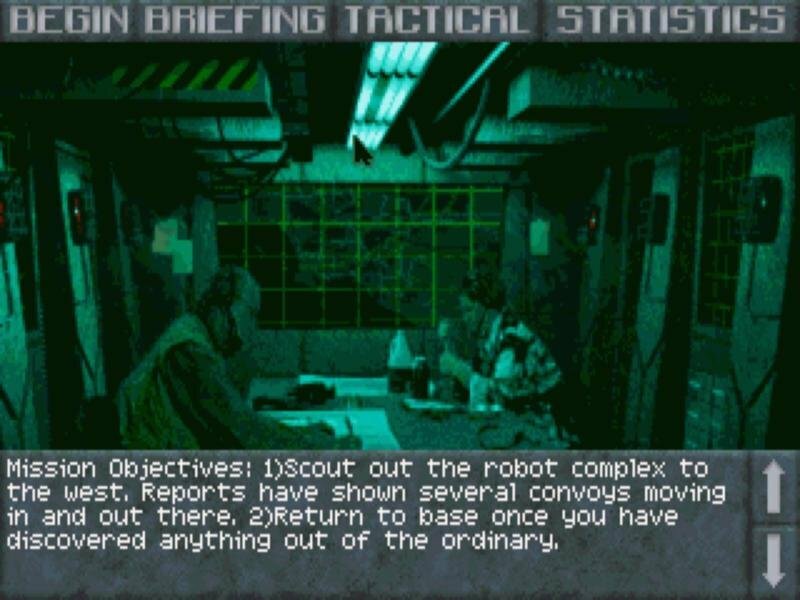 SkyNET finally adds both online and local play alongside an eight mission campaign, but the main attraction here by far is the excellent deathmatch. Like their role-playing epic Daggerfall, SkyNET uses Bethesda’s proprietary Xngine that allows the designers to create vast sprawling cities, and huge indoor settings within the same level. 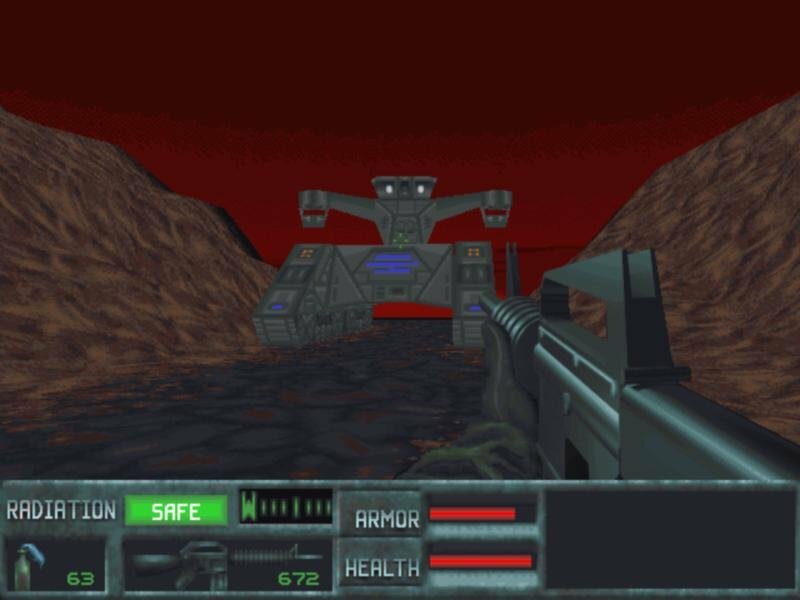 Combined with dark and gritty graphics and menacing terminators and bots, these expansive and desolate environments look really good. 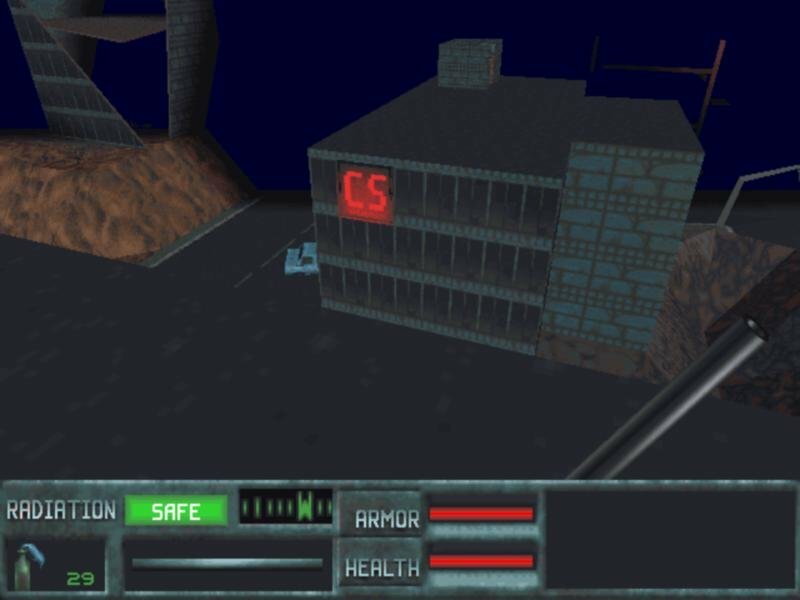 In most missions, you’re required to search through the burned-out ruins of huge cities filled with towering buildings and crumbling remains, enter complexes, and scavenge weapons and health kits in a struggle to survive. You’ve got complete freedom to explore buildings, jump from rooftop to rooftop, and climb across terrain. Another interesting feature of the Xngine is the ability to do more than just run around on foot. 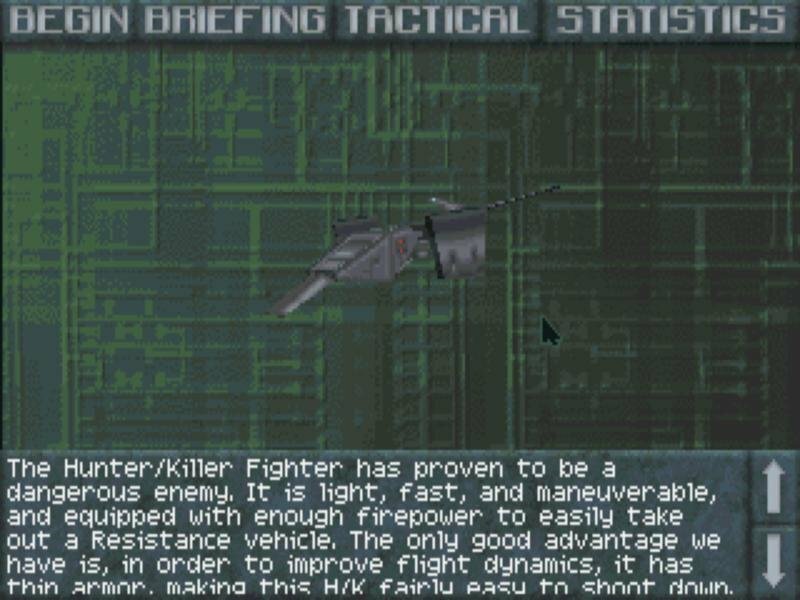 During key missions, you’ll drive a jeep through craggy mountain passes and even fly a modified Hunter-Killer high above the battlefield. 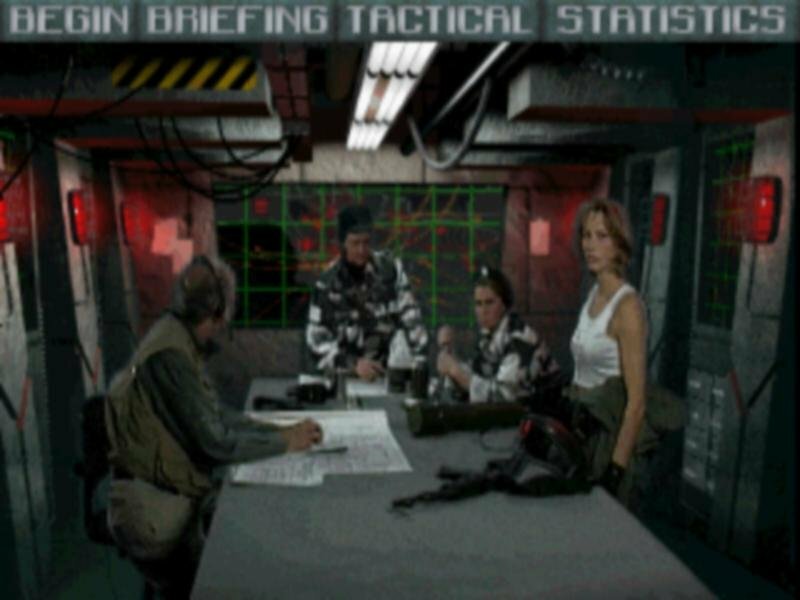 But While the SP missions are well worth a look on their own, the real attraction is the multiplayer mode. There players are allowed to hop in and out of HKs and jeeps with complete freedom. 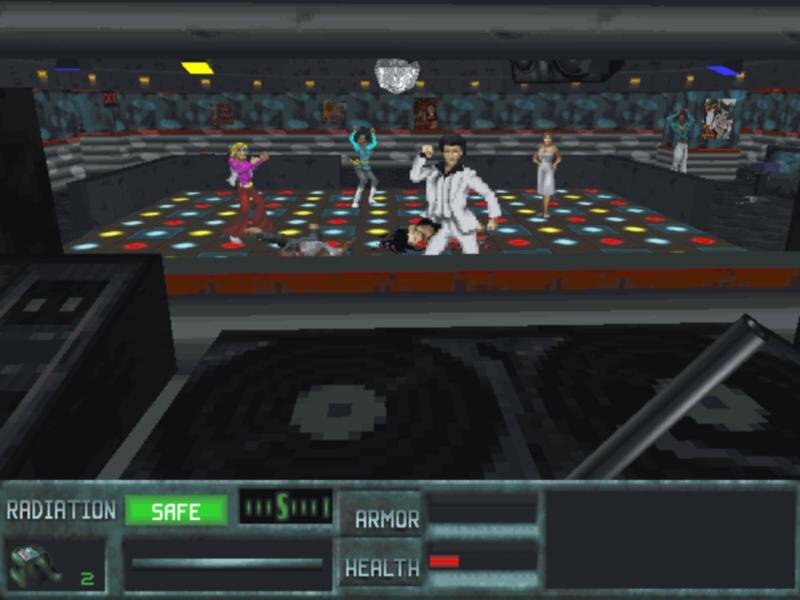 The setup program for the multi-player games lets you choose from more than a dozen different characters — including Terminators — to suit your own personal tastes. And there are so many areas to snipe at your opponent from that you’ll be creeping through back alleys, avoiding the main roads. But litter the map with vehicles and that dynamic changes incredibly. 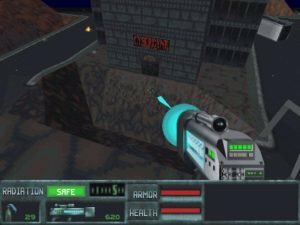 In short, SkyNET is a great value, whether you’re interested in finding a new twist on multi-player action or just looking for an old school shooter with more depth that what you’re used to. 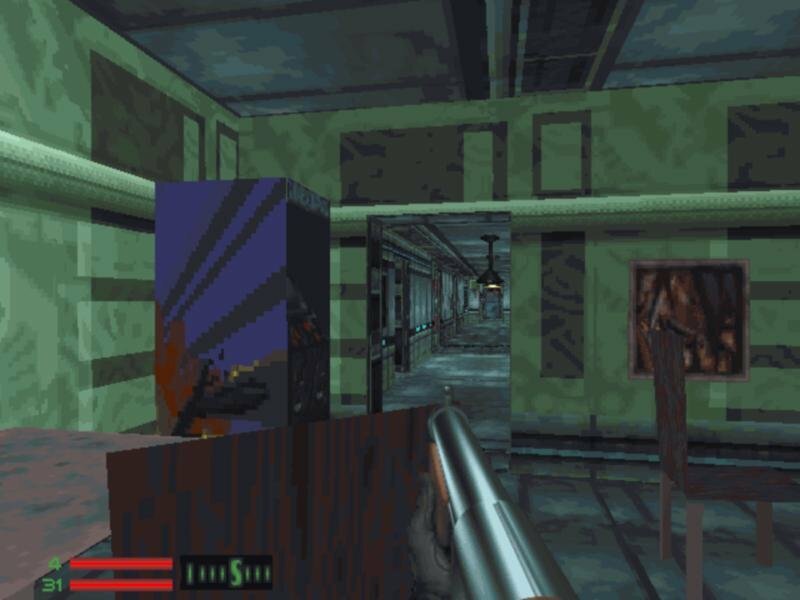 I personally prefer Future Shock over SkyNET, because while latter got higher screen resolution it also lost some of its darker and “dirtier” looks, thus bit of atmosphere. I mean just look at that bright blue sky. 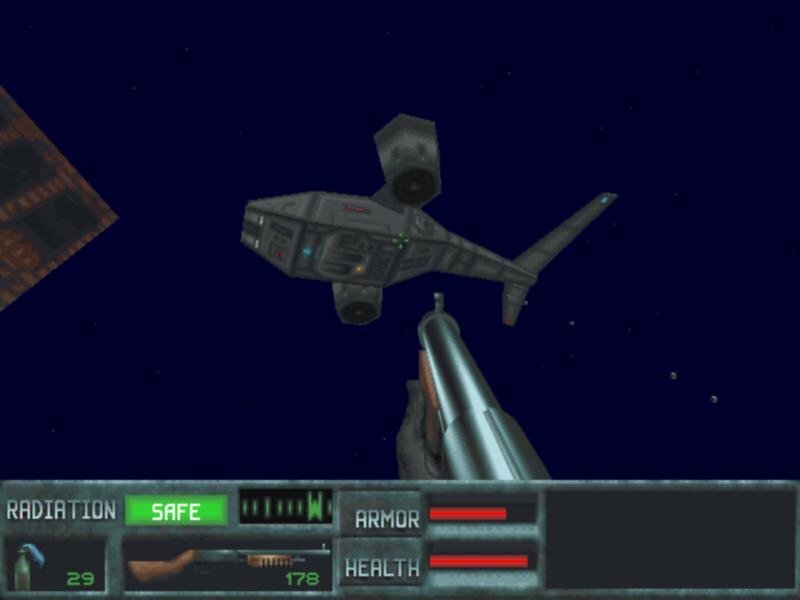 Single player campaign wise, what did you prefer? 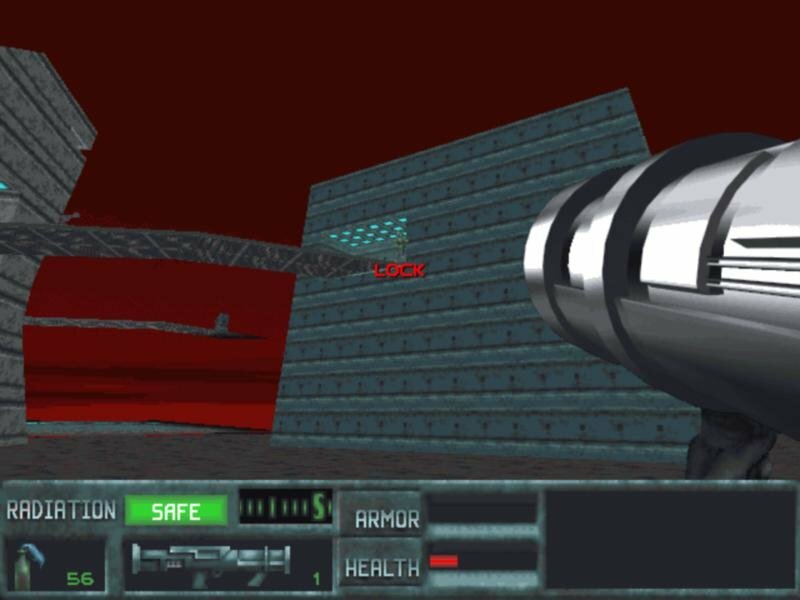 BTW Did you know you can experience Future Shock campaign trough SkyNET with all its added bells and whistles? 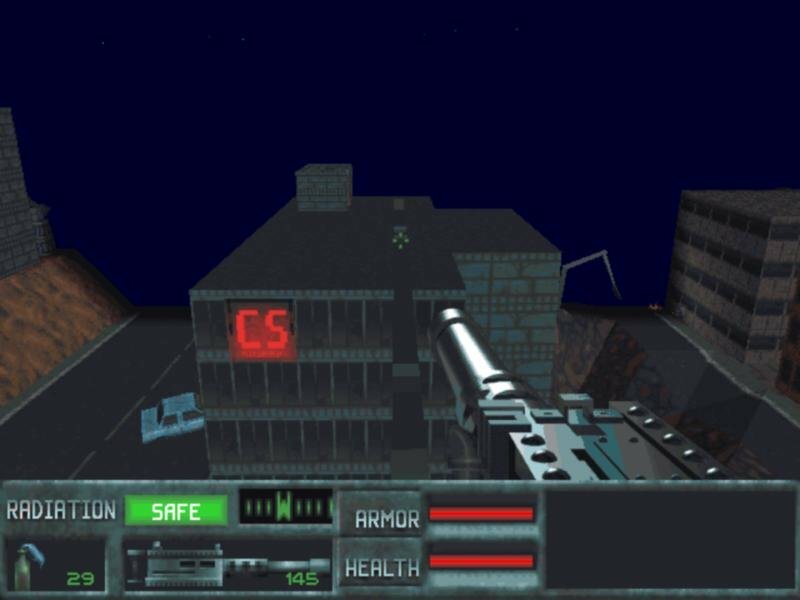 I liked the first game too. Odd that they didn’t add a textured grey sky in the sequel ( Dagerfall had them after all ). 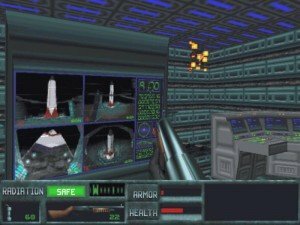 Is there a mod for SkyNet that lets you play the Future Shock missions? No mod needed, it is officially supported feature. It should just be under New game, pick Future shock option right under Training. 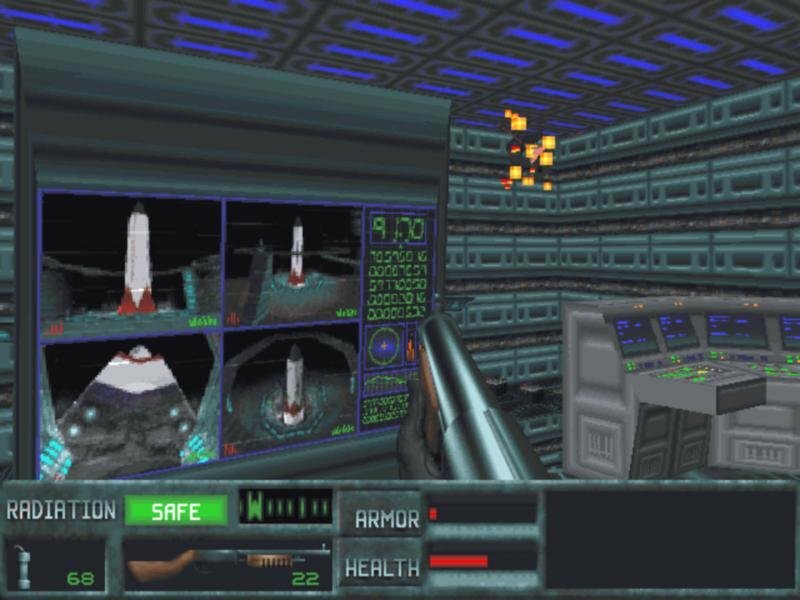 If game complains, that it was not detected, just make sure that both Future Shock and SkyNET folders are located in same root folder and that Future Shock has unchanged folder name from default “SHOCK”.